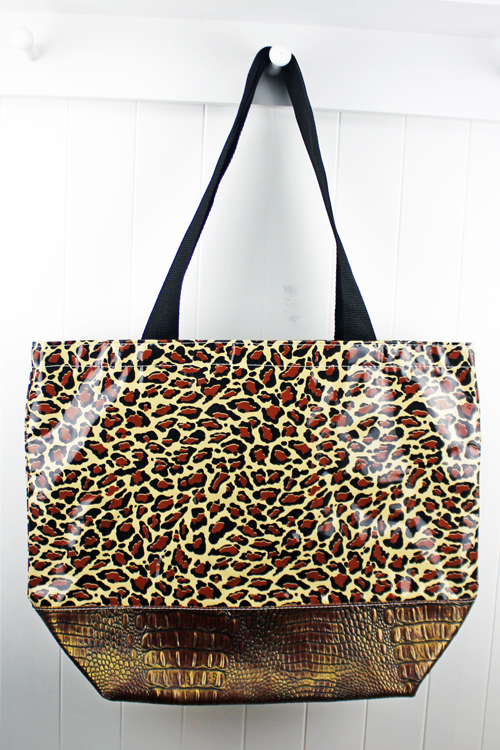 Our Large Tote & Mini Carry On measures 20″w X 16″h X 7″d, our Beach Bag is the biggest bag we offer measuring 24.5″w X 17″h X 7″d. 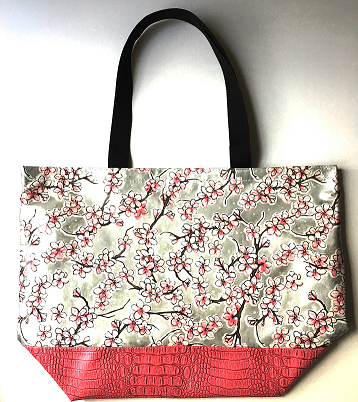 The interior is lined with a complimentary fabric, has 3 interior pockets and features a durable faux leather contrasting bottom. 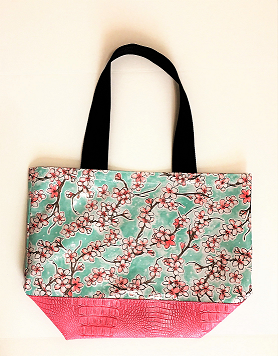 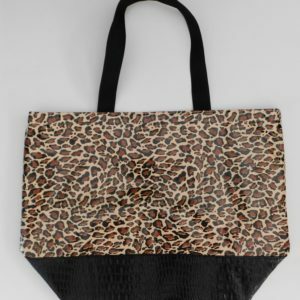 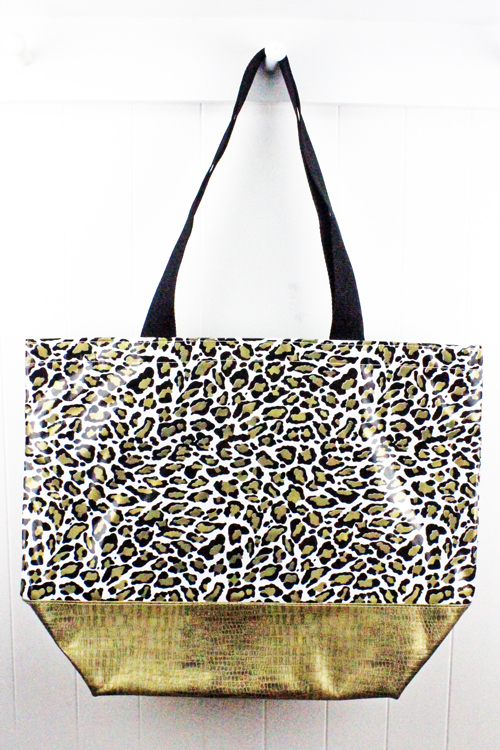 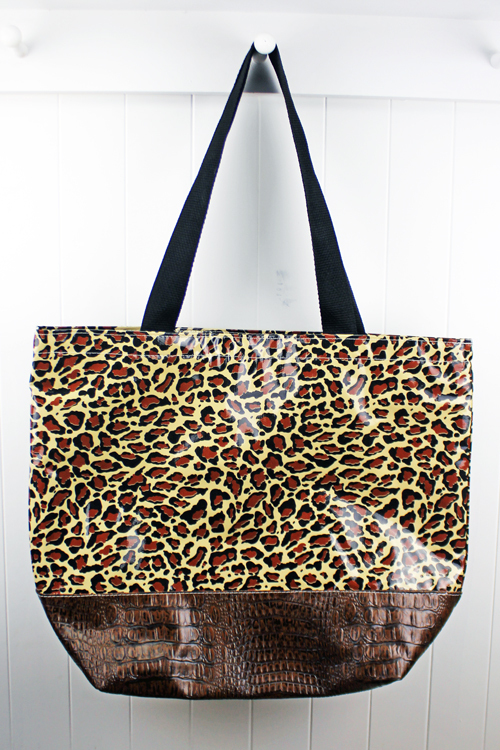 This size is a great shopping tote, purse, travel, teacher or diaper bag.